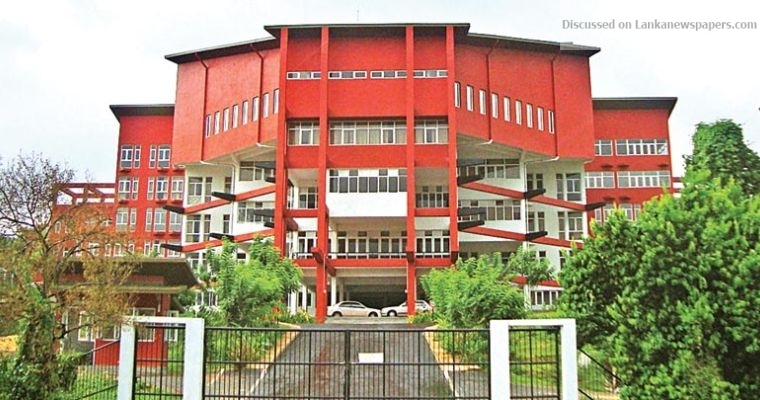 The SAITM controversy was a result of arbitrary political decisions therefore it can be resolved only through a political solution, the Government Medical Officers’ Association (GMOA) said today. Although a presidential solution was provided, it has not been conveyed to the Supreme Court yet. Because of this lapse, the GMOA said this issue could get aggravated. Addressing a press conference, GMOA Secretary Dr. Harith Aluthge said the government has to issue the gazette notification abolishing the SAITM without further delay to find a solution to this issue. He said although the General Sir John Kotelawala Defence University had agreed to accommodate the SAITM students it had certain procedural difficulties to do so and the government has to rectify this situation immediately. Therefore Dr. Aluthge urged the government to setup a technical committee to decide on these matters when SAITM students follow the study programme at the General Sir John Kotelawala Defence University. “Most importantly, the committee’s technical solutions over the transfer should be informed to the Supreme Court,” he added. Meanehile, he said the GMOA would not oppose even the government provide necessary facilities to SAITM students via other hospitals to complete their clinical trainings if KDU does not have them.